I'm 'just chicken in' on you to see how you are today. I hope you are doing well. 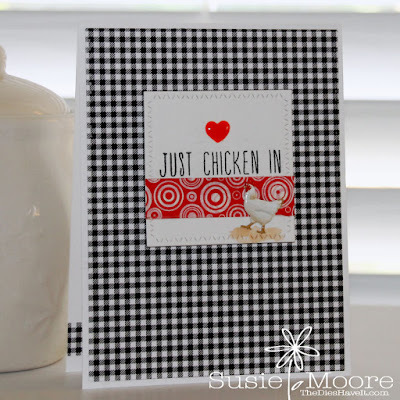 This little chicken is actually one of the new brads from Eyelet Outlet. I am giving you a little sneak peek and you will be able to order very soon!